Axel Perez Blog: Valerian and the City of a Thousand Planets en cines este 21 de julio. Valerian and the City of a Thousand Planets en cines este 21 de julio. 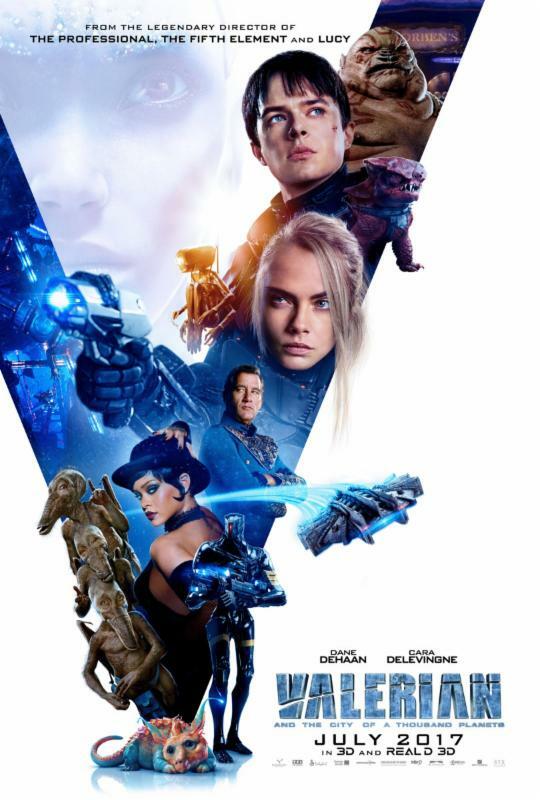 In the 28th century, Valerian (Dane DeHaan) and Laureline (Cara Delevingne) are a team of special operatives charged with maintaining order throughout the human territories. Under assignment from the Minister of Defense, the two embark on a mission to the astonishing city of Alpha-an ever-expanding metropolis where species from all over the universe have converged over centuries to share knowledge, intelligence and cultures with each other. There is a mystery at the center of Alpha, a dark force which threatens the peaceful existence of the City of a Thousand Planets, and Valerian and Laureline must race to identify the marauding menace and safeguard not just Alpha, but the future of the universe. EuropaCorp and STXfilms will release VALERIAN AND THE CITY OF A THOUSAND PLANETS in theaters nationwide on July 21. Publicadas por Axel a la/s 11:36:00 a. m.